22nd December 2017, New Delhi: For the past few months, consumers on LocalCircles have constantly reported cases of being charge above MRP for products when they buy from ecommerce sites. 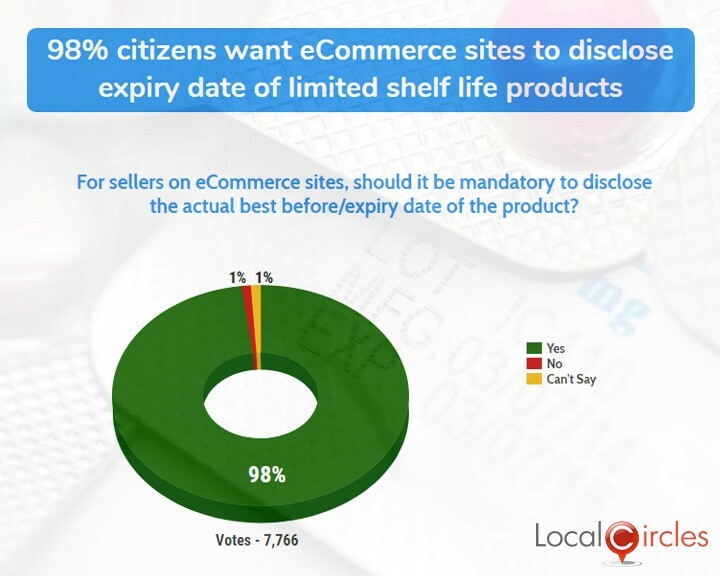 Earlier this year, after polls was conducted by LocalCircles in which over 42% consumers had reported products being listed for a much higher price on ecommerce sites than their actual price in the market and 98% consumers had demanded that ecommerce sites should disclose the expiry date of products, the Department of Consumer Affairs amended the Packaged Commodity Rules 2011 and issued a notification on 23rd June 2017, where sellers on all eCommerce sites will have to disclose actual product MRP and the best by date of the product they are listing. 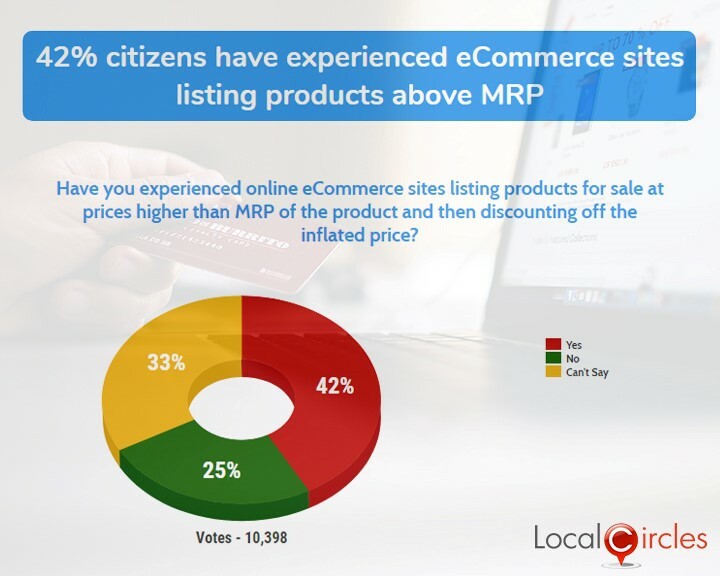 This decision came after many consumers reported the issue of sellers on eCommerce sites inflating list price above MRP and selling products with a short shelf life remaining in the Connected Consumers community on LocalCircles. 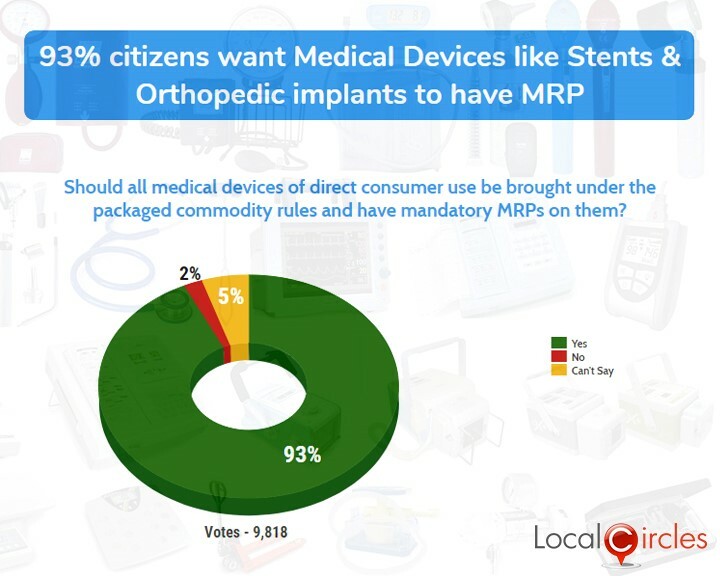 Another important announcement in the notification was that all medical devices declared as drugs would mandatorily have an MRP printed on them. The Departments had also issued a notification on addressing the issue of dual MRP. As per Consumer Protection Act 1986, it stated that no manufacturer/packer/importer was supposed to declare different MRPs on identical pre-packaged commodities by adopting unfair trade practices. However, earlier this week on the account of several requests received by Department of Consumer Affairs from many industry associations that they still had huge inventory left for old packaging materials and labels, the department has permitted them to be used till 31st March 2018.